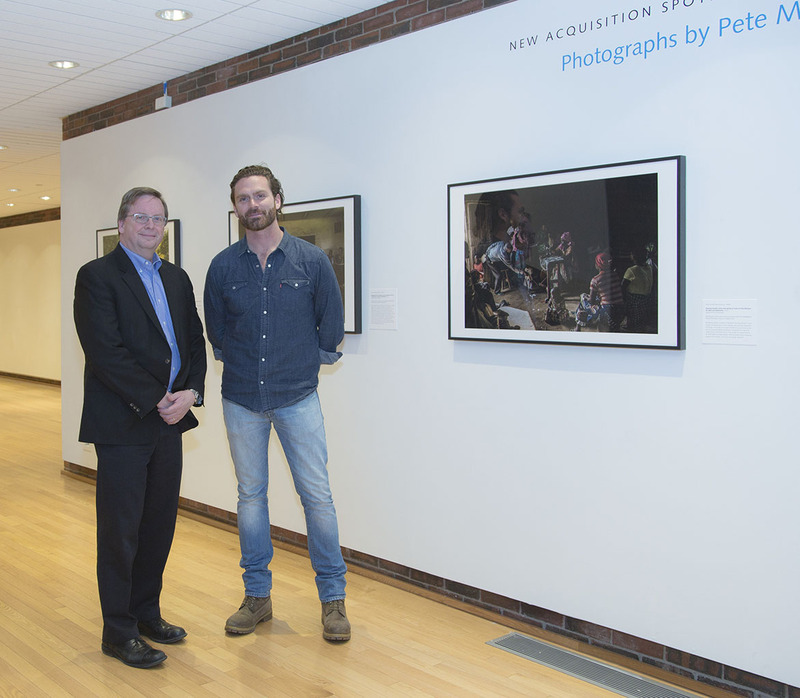 The Mount Holyoke College Art Museum hosted a public conversation between acclaimed photographer Pete Muller and Dean of Faculty Jon Western on March 30, 2017. Based in Nairobi, Kenya, Muller is a contributing photographer to National Geographic, TIME Magazine, and The New York Times, among other media outlets. Through photography, Muller probes the causes of violence and its consequences for ordinary people. He has worked in South Sudan, the Democratic Republic of Congo (DRC), Somalia, and Afghanistan. In a wide-ranging conversation on the relationship of masculinity to violence, Muller and Western explored the gendered and psychological dimensions of violence in different cultural contexts and the ethics of representation. Muller talked extensively about his work as a photographer covering complex humanitarian crises such as the ongoing conflict in the DRC and the Ebola outbreak in West Africa. Muller and Western’s remarks elicited questions from the audience about the relationship of the photographer to his subject and the power of images to shape public perceptions. In early February, Muller participated in a faculty discussion of his photographs selected from various projects. With faculty input, the Museum recently acquired three of Muller’s photographs for the permanent collection. In spring 2017, Muller was the Cyrus Vance Visiting Professor in International Relations at Mount Holyoke where he taught a seminar titled “The Instrument of the Curious”: Photography as Social Exploration. Pete Muller was named Photographer of the Year in the 2017 International Picture of the Year Competition.